"The body can't tell the difference." 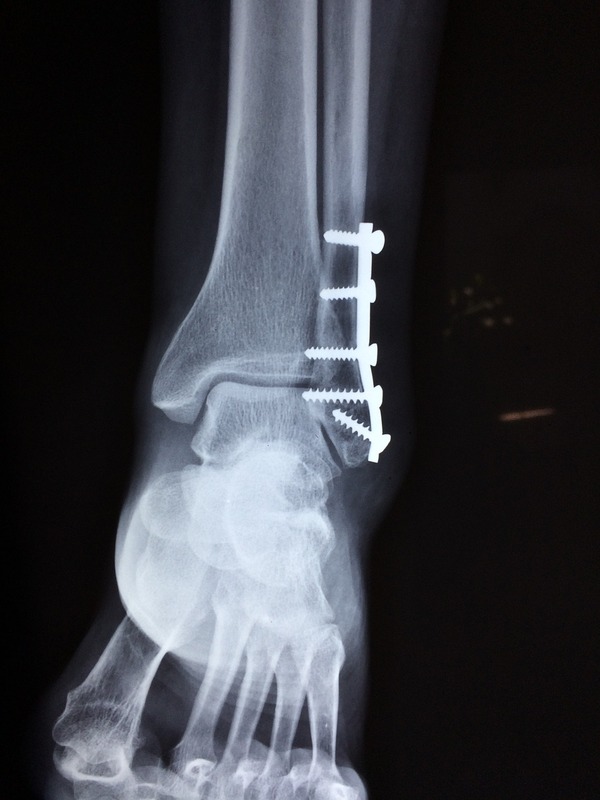 When a bone breaks, medical devices and objects like screws and pins are often used to hold the pieces together while the bone heals. But this process can be extremely painful, long, and difficult. One new technological marvel might make these methods obsolete. This potentially game-changing new tool is a 3D printed ceramic implant that holds fractured bones together while turning into actual, natural bone. Created by Hala Zreiqat at the University of Sydney in Australia and her colleagues, this implant has successfully repaired broken arm bones in rabbits in testing. Additionally, in a soon-to-be-published study, the team tested this ability with large leg fractures in sheep. Despite the small sample, the researchers were encouraged by the fact that the experiment was equally successful in all the eight animals involved in the study. According to the scientists, the sheep were able to walk immediately after surgery where the implant was placed. However, for four weeks after surgery, the sheep did walk with plaster casts to improve stabilization throughout the healing process. Three months post-op, the researchers observed complete healing in 25 percent of the fractures, and this rose to 88 percent at the one-year mark. Additionally, as these bones grew back, the scaffolds of the initial implant dissolved gradually. So, not only does the implant allow the bone to heal while quite literally creating natural bone in places where it’s missing, but it also dissolves when it is no longer needed. Speaking with the New Scientist, Zreiqat remarked on the success of this study that “They got their old bones back,” referring to the sheep. The implant has a similar composition to natural bone, so the researchers concluded that it was able to dissolve seamlessly without any toxic side effects and meld into the bone because, “the body can’t tell the difference,” Zreiqat said. The implant is porous and acts as a scaffold that natural bone and blood vessels can grow through, which makes it a seemingly perfect tool in bone restoration. This, if it continues to prove successful in testing, would be a drastic improvement to treatment for broken bones. The sheep in the study were observed to be extremely tolerant of the implants. Additionally, methods that use bone grafts can be rejected by a patient’s immune system, whereas the ceramic implant tested here was not. Specifically, the implant is made up of calcium silicate, the mineral gahnite, and small amounts of strontium and zinc which are trace elements in natural bone. One downside to the new implants seems to be their rigidity, but for many people the use of these grafts could significantly reduce pain and allow them to heal faster. The future of medicine will benefit from unique applications of advancing technologies. 3D printing isn’t just for plastics and digital devices. Biological elements can be used within the medical sector to improve the lives of patients, physicians, and the continually developing field.